Nearly 5,000 households in the Sacramento area took advantage of United Way-led free tax programs this year, resulting in more than $5 million in money claimed and saved through the Earned Income Tax Credit, other credits and refunds, and lack of tax preparation fees. 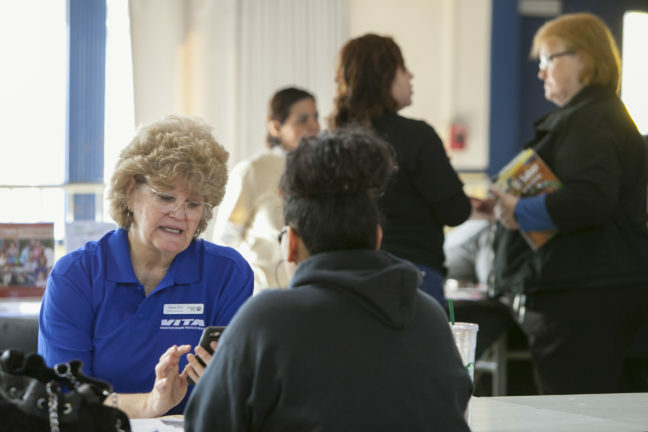 The in-person Volunteer Income Tax Assistance (VITA) program, led by United Way California Capital Region in this area, helped 3,710 local households. The first 150 who placed part or all of their refund in their own savings accounts earned a $10 gift card sponsored by SAFE Credit Union. United Way’s MyFreeTaxes.com helped 983 users file taxes with an average refund of $1,433. Local households that earned $54,000 or less in 2015 were eligible to receive free tax help in person through the the local VITA coalition led by United Way. IRS-certified volunteers provided free basic tax return preparation with electronic filing. Volunteers informed taxpayers about special tax credits for which they might qualify, such as the federal and state Earned Income Tax Credits, Child Tax Credit, and Credit for the Elderly or the Disabled. VITA is a national IRS program and offers free help to people who make a limited income and need help preparing their tax returns. The 150 filers who qualified for the SAFE gift card promotion collectively saved $186,307 – an average of $1,242 per saver – from their refunds in their own savings accounts or by purchasing savings bonds through VITA. Local households that made $62,000 or less in 2015 qualified to file their state and federal taxes online for free at MyFreeTaxes.com, thanks to a a national partnership between United Way, Goodwill Industries and the National Disability Institute. The website guided users through federal and state filing using software powered by H&R Block. Both the in-person and online filing opportunities were designed to help households receive the maximum Earned Income Tax Credits of $6,000, available federally and through the state. This is the first year that California offered a state Earned Income Tax Credit to benefit California’s working families, increase use of the federal credit and increase availability of free tax preparation services. United Way California Capital Region is leading the local efforts for VITA and MyFreeTaxes.com as part of its work to ensure more households in the capital region are financially healthy. Partners include California State Board of Equalization, City of Sacramento, Community Housing Opportunities Corporation, County of Placer Health and Human Services, Folsom Cordova Community Partnership, Goodwill Industries of Sacramento Valley & Northern Nevada, Sacramento County Department of Human Assistance, SEIU Local 1000, Sacramento Food Bank & Family Services, Grant Union High School, Hiram Johnson High School and the State of California Franchise Tax Board. Sponsors include Citi Community Development, First Northern Bank, Internal Revenue Service, SAFE Credit Union, SMUD, United Way California Capital Region and Wells Fargo.